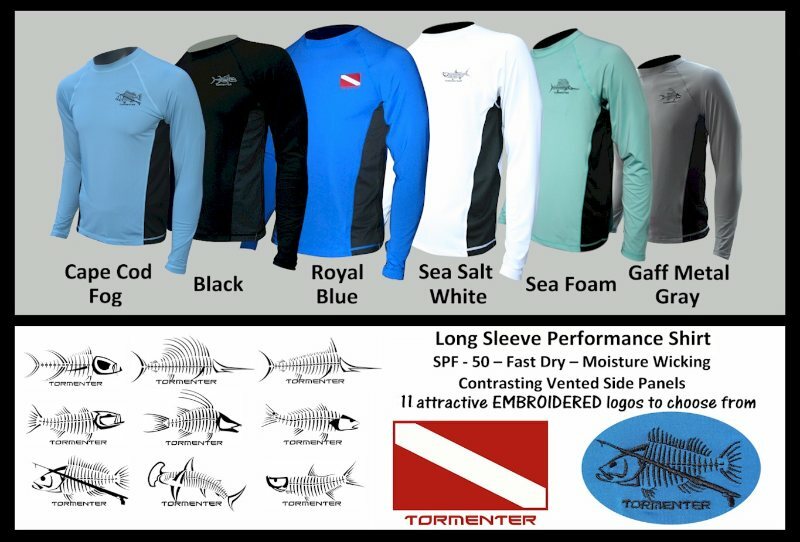 Tormenter In and Out of the Water Men's SPF-50 Performance Shirts! Super Low Price - Now Only $39.99! most styles ON SALE as low as $29.99!! We are almost out, so don't wait! down cotton shirt, so if your T shirts were pre-shrunk, they will be larger than our Performance shirts. Our Performance shirts will not shrink and will remain the same size as when you get them. 10. 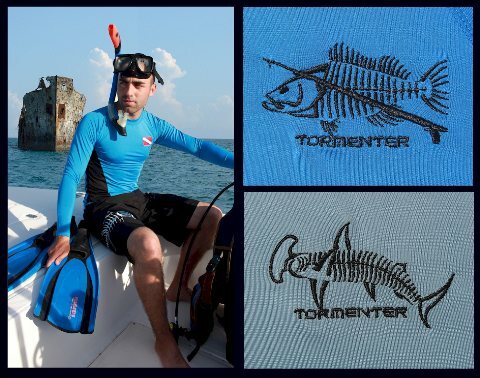 Looks Great on Men or Women! higher level than most all other major (and minor) brands. Boardsing (SUP), Kayaking, and Swimming. everyday wear, even working in the yard as they clean up extremely well (and DO NOT snag!). your wrist as so many other brands of SPF shirts will do. look like a super hero! Click Here to get a matching visor!